@ Club’s Metropolis & Remix!! ☯ 2 rooms of INSANITY! ☯ Bringing in HEADROOM’S MASSSSSSSSIVE SOUND SYSTEM!!! 40,000 watts, huge custom built subs to massage your soul. ☯ A diverse lineup of DJs & musicians. Last year sold out. This year we have twice as much capacity, SO BRING IT! 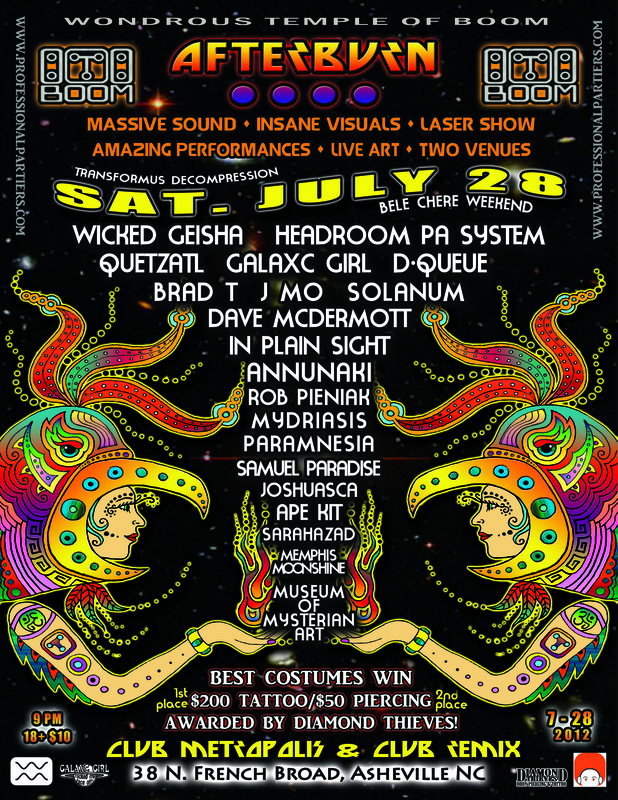 GalaxC Girl & Brad BiTT reppin the BOOM up in Detroit Friday July 13, 2012 at this wonktarded insane looking party! You are currently browsing the professionalpartiers blog archives for July, 2012.